The Latitude DL150-G Global Aeronautical Distress and Safety System (GADSS) unit has it foundations based on Latitudes popular Safety Services DL150 SDU used for CPDLC and ADS-C messages. The DL150-G is for world-wide emergency tracking and distress event notification system. Providing 100 percent global communication and real-time aircraft tracking, the DL150-G enables automatic and autonomous minute-by-minute position updates. The unit is designed to transmit aircraft position and customizable alerts for immediate notification when an aircraft is in distress. The DL150-G is designed to the latest ICAO GAT Guidance Material. On November 8th, 2018 the Aircraft Tracking (AT) component of the Global Aeronautical Distress and Safety System (GADSS) came into force. The AT requirement calls for the operator to track the position of the aircraft at least every 15 minutes anywhere the aircraft is outside normal ATS surveillance (i.e. Radar, ADS-B coverage). The AT requirement only applies to aircraft with an MTOW greater than 27,000 kg. Our SkyNode S100 and S200 products meet the AT requirement provided that they are configured for a tracking interval of fewer than 15 minutes. Your tracking interval can be viewed using Latitudes online administration tools, or via a call to our support line. Looking to achieve 4D/15 Aircraft Tracking? Latitude's experts are ready to help. Talk to an expert and allow Latitude to help you comply with ICAO GADSS SARPs requirements before its too late. Find out how to meet the upcoming guidelines today. 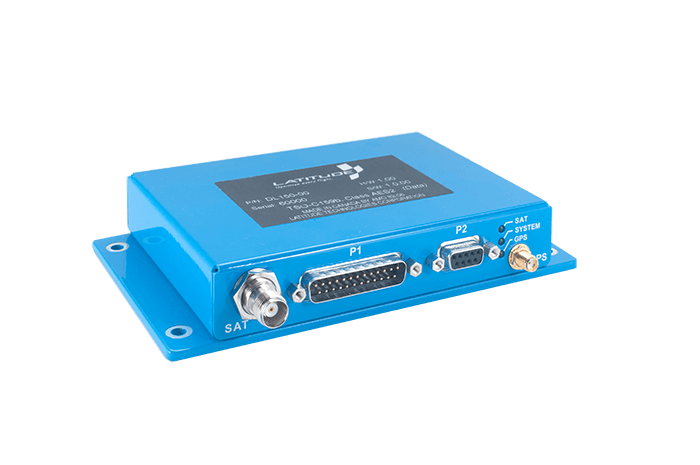 The DL150 Satellite Data Unit (SDU) provides the satellite connectivity acting as a communications link for the capture and retransmission of Satcom messages as to meet the requirements of AC20-140B.